Affiliation: Faculty of Management, Kattankulathur Campus, SRM Institute of Science and Technology. A study on competency mapping with special reference to the whirlpool of India Ltd International Journal of Advance and Innovative Research Volume 5, Issue 1(1) ISSN:2394-7780 Jan- March-2018. 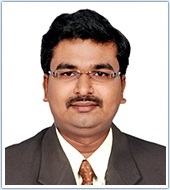 “A Perspective study on the various direct-to-home (DTH) service providers in Chennai Pg.No. 47) Vol 5, Special issue:1, No.2, April ‘2018, ISSN: 2321-4643, Shanlax International Journal of Management, UGC Approval No: 44278, Impact Factor: 2.082. The antecedents on rural distribution problem and rural retailer’s preference towards Pepsico India holdings private limited in Tamilnadu, India Int. J. Business Innovation and Research, Vol. 12, No. 4, 2017. A study on customer satisfaction analysis of sales and service at Royal Enfield, Chennai. Shanlax International Journal of Management Vol. 5 No. 2 October 2017 ISSN: 2321-4643 UGC Approval No: 44278 Impact Factor: 2.082. “Influencing factors to determine the core value of Competency Mapping: In the perspective of Manufacturer aspect.” Vol IV, Issue 1, March’18, ISSN: 2395-5929, Emperor International Journal of Finance and Management Research. (UGC Approved: 45308). SJIF: 3.343, SJIF 2017: 4.253, ISI: 2017-2018: 0.673, IFS-2018: 1.14, (Pg.No. : 617-629), March’18. Green marketing strategy for green edible products in Tamilnadu International journal of management and social development Vol 2 no 2 Feb 2015Issn 2348-1919. Supply chain strategies for green edible agricultural products in India: A Farmers perspective International Journal of management and development studies Volume 4, NO 3 September 2015. “The Antecedents on Green Marketing Strategies for Ayurveda Products in Tamilnadu International Journal of Pharmaceutical Sciences Review and Research (Int J Pharm Sci Rev Res, eISSN: 0976-044X; CODEN: IJPSRR) Volume 31, Issue 2, March - April 2015. Assessing the impact of Training and Development programmes on worker performance and business productivity; A Case study of Royal Bow Company Ltd, Kumasi, Hana International Journal of Applied Engineering Research Vol.9 No.24 DEC 2014. Emotional intelligence among police personnel ISSN 2249- 8834 EIJMMS, Vol.3 (4), April (2013) Online available at zenithresearch.org. Presented the research paper titled "industrial buyer behavior in emerging bar code market" at the JAMS India conference held at Indian school of business (ISB) From April 26-28,2018. Presented a paper entitled “changing scenario of service quality management in retail marketing practices” in the international seminar on managing global recession opportunities & challenges held on March 25th, 2009 at KSR School of management, Tiruchencode-275. Presented a paper entitled “ New paradigm shift for HRD professional learning process- post globalization” in the national seminar on changing dimensions of human resources in the globalize scenario held on 20 & 21 February 2009 at Gobi arts and science college, Gobichettipalayam,Erode-453. Presented a paper entitled “prevent and cope with stress” in the international seminar on recent trends in global business order- impact in Asia held on January 30&31 2009 at Vivekananda business school for women Tiruchencode-275. Presented a paper entitled “Employees perspectives towards their job in ITES BPO Industry” in the national seminar on global business environment challenges and opportunities held on 28&29 January at Periyar University, Salem-11. Presented a paper entitled “ A Changing scenario of total learning process management of HRD professionals” in the national conference on innovation and creativity in management held on November 28&29 2008, at Kristu Jayanthi college Banglore-77. Lecturer, Sri Balaji Paramedical College, July 2002 - July 2005. Participated in an AICTE Sponsored Short term course "Workshop on Research methodology in Social science" held at DOMS- IIT-M. From January 02-07,2017. Attended the three days workshop on Data analysis using SPSS & R Organized by DOMS- NIT-Trichy on April 21- 23 2017. Participated in the HR Conclave 2016 conducted by IIM-T On November 5,2016. Organized and coordinated Faculty Exchange Program with London school of public relations (LSPR),Jakarta,Indonesia September 2018. Participated in the Management Development "programme on Gamification in learning and development" Organized by School of management, CUSAT On Nov 28-30, 2018. Participated in the Faculty Development Programme on “Language, Literature and Ethics” conducted by Department of English, Sri Muthukumaran Institute of Technology, Chennai-69, India on 19th August, 2005. Participated in the Faculty Development Programme on “Entrepreneurship” conducted by Alagappa Institute of Management, Alagappa University, Karaikudi – 630 004, India from 16th- 23rd February, 2004. Affiliation: Faculty of Science and Technology, Kattankulathur Campus, SRM Institute of Science and Technology (formerly known as SRM University). “Survey Report on Hop-Field Chaotic Neural Networks in Wireless Nodes“, International journal of Engineering Applications & Sciences (IJOEAS), Vol No.1, Issue No.1, pp.No.12-18, ISSN No.2455-6955 Feb 2016. Presented a paper “Improved three tier architecture with Hopfield chaotic neural networks in WSN”, ‘International conference on Knowledge Discovery & Computational Intelligence’ (ICKDCI-17) organized by VELS University, Chennai during 9th & 10th March 2017. Presented a paper “Improved Secure Three-tier Architecture for WSN using Hop-field Chaotic Neural Networks with Two Stage Encryption”, ‘International conference on Computer, Electrical & Communication Engineering’ (ICCECE-16) organized by Techno India University, West Bengal Kolkata during 16th & 17th Dec 2016. Presented a paper “Secured three tier architecture for wireless sensor networks using chaotic neural networks”, ‘International conference on computational intelligence and informatics’ (ICCII-16) organized by JNTUH Campus, Hyderabad during 28th – 30th May 2016. Presented a paper in National Conference entitled “Three Tier Layered Approach in Wireless Sensor Networks with secured K-Top Query” on Recent trends in Information Technology” (NCRTIT’14) on 3rd May 2014 at Thangavelu Engineering College, Karapakkam-OMR Road, Chennai. Presented a Paper in National Conference entitled “Automatic Fall Detection & Activity Classification by an Android Application” on Recent trends in Information Technology” (NCRTIT’14) on 3rd May 2014 at Thangavelu Engineering College, Karapakkam-OMR Road, Chennai. Presented a Paper in National Conference entitled “Efficient Reliable MAC layer Multicasting IEEE 802.11 Wireless Networks”, in National Conference on Computing Techniques (NCCT’13) held at University College of Engineering-Villupuram on 5th April, 2013. Presented a Paper in National Conference entitled “Cooperative based robust MAC & Routing protocol for Wireless Ad-hoc Networks”, in Technical Advancements in Computer Technology (ncTacT’12) held at Adhiparasakthi Engineering College – Melmaruvathur on 17th March, 2012. Assistant Professor, Computer Science & Engineering, SRM Institute of Science & Technology, Kattankulathur, Chennai from June 2018 to Current. Assistant Professor, Computer Science & Engineering, KKR & KSR Institute of Technology & Sciences, Guntur, Andhra Pradesh from June 2015 to May 2018. 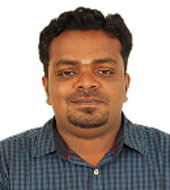 Assistant Professor, Computer Science & Engineering, Arunai College of Engineering, Tiruvannamalai from May 2015 to May 2015. 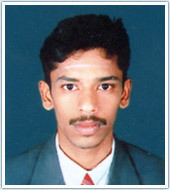 Assistant Professor, Computer Science & Engineering, Adhiparasakthi Engineering College, Melmaruvathur from June 2011 to May 2012. Acted as a Workshop Coordinator for the NME-ICT funded Workshop “Database management Systems” conducted by Indian Institute of Technology (IIT)-Bombay and attended one week workshop in IIT Powai Campus, Bombay May 2013. Workshop Organizer for the Spoken Tutorial Projects organized by IIT Bombay. Organized Ethical Hacking & Robotics workshop allied with IIT Kharagpur & Bombay. Organized a Zonal Level National Workshop on “ROBOTICS Championship – NRC 2013” and Awarded with Golden Certificate of Appreciation by ART Techno Solution & Team NRC, Sponsored by IIT Kharagpur. Coordinated “Hack tricks - Zonal Lag”, A National level Workshop & Competition on Ethical Hacking & Cyber Security held on 20th & 21st Oct 2013 at Arunai College of Engineering-Tiruvannamalai, organized by IIT Bombay in Association with TechFest2013. One Week Faculty Development Program on “Cloud Computing with AWS” organized by E & ICT Academy, IIT Guwahati during 7th to 13th Aug 2017. Attended an Eight days Training program on “Node JS and Mongo DB Course” Conducted by Campusify Technologies LLP., at KKR & KSR Institute of Technology and Sciences, Guntur from 21.12.2015 to 28.12.2015. A Two Day Training program on “Intro to ADO.NET Programming” conducted by ICT Academy of Tamilnadu, held on 1st & 2nd Aug 2013, Arunai College of Engineering-Tiruvannamalai. A Three day National level training program on “Instructional Design & Delivery Systems”, conducted by Arunai College of Engineering from 27th to 29th June 2013, organized by National Institute of Technical Teacher Training & Research (NITTTR), Chennai. Two weeks ISTE Workshop on “Computer Programming” conducted by Indian institute of Technology, Bombay from May 20th 2014 held under NMEICT (MHRD). Attended a Two Days Workshop on “Google Apps & Google Scripts” held on 13th & 14th March 2014, conducted by Arunai College of Engineering-Tiruvannamalai organized by (CSI) Computer Society of India. Attended Two days hands on workshop on “Operating Systems Design” organized by Arunai Engineering College-Tiruvannamalai, in association with LINUXPERT Systems, Chennai, during 18th -19th Feb 2014. Attended a Two days National Level Workshop on “Network Design” on 3rd & 4th Dec’13 held at Arunai College of Engineering-Tiruvannamalai. Attended a National Level Workshop on “LATEX PROGRAMMING” held on Oct 26th 2013, organized by CSE Department, FEAT-Annamalai University, Chidambaram. Attended a one day national level workshop on “NPTEL – National Programme on Technology Enhanced Learning” conducted on 13th July 2013, organized by NPTEL- IIT Madras. Attended a Two Days National Level Workshop on “Open Source Lab”, on 17th & 18th Aug 2012 held at Arunai College of Engineering-Tiruvannamalai. Attended a One day National Level workshop on “Cloud Computing” on 3rd Aug 2012 held at Arunai College of Engineering-Tiruvannamalai. Attended a Five days “Coordinator’s Workshop on Database management Systems” conducted under National Mission on Education through ICT by (MHRD), at the dept. of CSE, IIT Bombay-Powai Campus during 6th -10th May 2013. Attended a Two days National Level Workshop titled “Designing on enterprise networking with IPv4 & IPv6 & Security Essentials”, held on 23rd & 24th Feb 2013 at Arunai College of Engineering-Tiruvannamalai, organized by (CSI) Computer Society of India. Attended an IEEE Sponsored two days workshop on “Research Issues & Challenges in Mobile Ad-hoc Networks”, on 21st & 22nd Sep 2012. Got Best Research Paper Award in the International Conference (ICCECE-2016) held in Techno India University, West Bengal, Kolkata on 16th & 17th Dec 2016. Numerical modelling of rocks and rock masses, Application to tunnels, slopes. Foundation on rocks, Estimation of bearing capacity, Stress distribution in rocks, Settlement in rocks, Pile foundation in rocks. R. Vinothkumar and Dr.P.D.Arumairaj, “Green Stabilization of Coimbatore Clay”, International journal of Engineering and Innovative Technology, Vol 2, issue 11, pp. 234-240, May 2013. R. Vinothkumar and Dr. P.D.Arumairaj , “Experimental Study on Stabilization of Coimbatore Clay using Quarry dust and fly ash reinforced with Polypropylene fibre” in Second National Conference on Recent Advancements in Geotechnical Engineering held at GCT, Coimbatore on April 26, 2013. R. Vinothkumar and Dr. P.D.Arumairaj, “Utilization of Industrial Wastes with Polypropylene fibre for the stabilization of Coimbatore Clay”, in Fourth Indian Young Geotechnical Engineer’s Conference, held at IIT MADRAS, on May 17-18, 2013, Theme 3: Geosynthetics, S.no:9, Pg:125. R. Vinothkumar and Dr. P.D.Arumairaj , “Utilization of Industrial Wastes for improvement of soil in Coimbatore-South India”, in Third National Conference on Recent Advancements in Geotechnical Engineering held at GCT, Coimbatore on April 22, 2014. Working as Assistant Professor (O.G) at SRM UNIVERSITY with effect from 15.06.2015 onwards. Organized and conducted One day National Workshop on "Soil Mechanics and Foundation Engineering" in association with Indian Geotechnical Society – Coimbatore Chapter at Bannari Amman Institute of Technology, Sathyamangalam on 24.01.2014. Organized and conducted Faculty Development Programme successfully (by Inviting Chief Guest as Dr. A. Srirama Rao, President, Indian Geotechnical Society, New Delhi and Resource Persons from IIT Madras, IISc Bangalore, NIRM Bangalore, NIT Trichy and GCT Coimbatore) on 'Recent Innovations in Geotechnical Engineering' from 05th to 10th May, 2015 at Kalasalingam University, Srivilliputtur. "Decolorization and detoxification of waste water through immobilized laccase based bioremediation”, 3rd National Conference on “Transfigures in Bioscience and Technology” TBST 13, Madha Engineering College, Chennai, Tamilnadu, India. “Nanobiotechnology” AICTE Sponsored Faculty Development Programme on “Applications of Nanotechnology in Diagnostic and Therapeutic Procedures - 2014”, at Veltech High tech Dr. Rangarajan Dr. Sakunthula Engineering College, Chennai, India. B.E. Aeronautical Engineering K.C.T, Anna University, Coimbatore, 2011. Poorva Shrivastava, Chakshu Baweja, Herambraj Nalawade, Vinoth Kumar Annamalai, Vikram Ramanan and Vinayak Malhotra., “An experimental insight into the smoldering-flaming transition phenomenon”. Journal of Combustion, https://doi.org/10.1155/2017/4062945,Volume (2017) 2017. P. Shrivastava, Vinoth Kumar Annamalai, P. Tiwari, and V. Malhotra, “Magnetic Flame Spread,” International Journal of Application or Innovation in Engineering & Management (IJAIEM)., vol. 5, no. 9, pp. 79-87, 2016. Vinoth Kumar Annamalai, Sathappan.G, Sasitharan.A, Hari Vignesh, Satyanarayanan.J, andMugeshwaran “Design of Multirotor Test Rig-Multirotors Performance test,” International Journal on Mechanical Engineering and Robotics (IJMER)., ISSN (Print): 2321-5747, Volume-2, Issue-1,pp-72-77 2014, DOI No: https://doi.org/10.1453/IJMER/63. Vinoth Kumar Annamalai and Dr. S. Thanigaiarasu , “Numerical Analysis of Flow through Shrouded Turbine Cascade,” International Journal on Theoretical and Applied Research in Mechanical Engineering (IJTARME)., vol.2, Isssue-3, pp. 1-6, 2013. Faculty Development Program on “Data Acquisition using LabVIEW in Aerospace applications' during 16-19th of September 2017. Presented a paper titled “Experimental and Numerical Analysis Of Flow Through Shrouded Turbine Cascade” at National conference on Frontiers in Aeronautical, Aerospace and Automotive Engineering, organized by NICE india, on 2nd March-2013. Presented a paper titled “Numerical Analysis Of Flow Through Shrouded Turbine Cascade” at International conference on Metallurgical, Manufacturing and Mechanical Engineering organized by IRD India, on 24th February-2013. Attended a special Lecture on “Mechanism of Combustion in Gas Turbine Engines” conducted by Association of Aeronautical Engineers - MIT, Anna University on March-2012. Attended a workshop on “High Temperature Materials” conducted by ‘Centre for Aerospace Research, MIT, Anna University on January-2012. Presented a paper titled “Experimental Studies On Thermal Protective Coating For Low Pressure Gas Turbine Blades” at 9th International Conference on Heat Transfer, Fluid Mechanics and Thermodynamics organized by HEFAT2012, on 16 - 18 July 2012 at Malta. Presented a paper titled “High Speed Aerodynamics”. In a Paper Presentation Contest of National Level Technical Symposium “Aviopex ‘09” organized by Infant Jesus College of engineering, 21st March 2009. Presented a paper titled “Cryogenic Engines”. In a Paper Presentation Contest of Intra-college level Technical Symposium organized by KCT Institution of Engineers Students Chapter, 2nd April 2009. Attended a workshop on “Multi-Disciplinary Aspects in the Design & Development of Light Combat Aircraft” conducted by ‘Park college of Engineering & Technology, Coimbatore on 2nd August, 2008. Attended a workshop on “Aero-Modelling” conducted by ‘Kumaraguru College of Technology, Coimbatore’ on 21st September, 2007. Visiting Professor at National Formosa University - Taiwan, from June 4th, 2018 to July 4th, 2018. Awarded “Gold Medal” for securing highest mark during academic year 2012-13. Awarded as “Best Outgoing Student” by Dr.N S Venkatraman during the year2012-13. Awarded “Delhi MIT alumni association prize” for first rank in M.E Aeronautical engineering. Awarded “Mahatma Gandhi Merit Scholarship for Academic Excellence” during academic year 2008 - 09, 2009-10 and 2010-11. Society of Automotive Engineers (SAE), Member – India Southern Section, 2017. Affiliation: Department of Mechatronics Engineering, Kattankulathur Campus, SRM Institute of Science and Technology (formerly known as SRM University). "Autonomous underwater vehicle using variable buoyancy system” at National Institute of Ocean Technology, Chennai. “Microcontroller based data acquisition system for renewable energy sources”. With R.Sivaramakrishnan, “Design and control of Autonomous Underwater Vehicle using Variable Buoyancy System,” at ICCCE, 2012 in MGR University Chennai. With J. Dhanasekar, “Design and control of Autonomous Underwater Vehicle,” at AIMMMS, 2012 in Sairam Engineering College Chennai. Presented a poster titled software libraries in machine vision. Attended the “Indo-Japan workshop on recent trends in Materials and Device” held,College of Engineering Guindy Campus, Anna University, Chennai on June 13-19, 2011. Attended “Symposium on International Automotive Technology (SIAT)” organized by ARAI, held at ARAI Pune from 9th to 12th January 2013. Application Engineer, OEM Technological Instruments, 2012-2014. Finalist in Pragyan’2011 and Krukshetra’2011 international robotics events. Finalist in an autonomous embedded system design contest- NIYANTRA 2011. Affiliation: Department of Mechanical Engineering, Kattankulathur Campus, SRM Institute of Science and Technology (formerly known as SRM University). J.Daniel Glad Stephen, D.Raja, A.Vinoth, Deepak Vijayan, “An Alternative Method For Generating CAD Model of Lumbar Vertebrae Through Coordinate Measuring Machine”, International Journal of Pure and Applied Mathematics, 118 (20), 2018, 855-863. S.Arun Prasath, D.Raja, A.Vinoth, V.Keerthi Velan, “Development of L1 to L5 Finite element Model of Lumbar Spine: A Biomechanical study”, International Journal of Pure and Applied Mathematics, 118 (20), 2018, 829-838. P.Susai Manickam, S.Balamurugan, D.Raja, A.Vinoth, Deepak Jude Denny, Venkata Koushik, “Design and Manufacturing of a Sliding Table for a Six Axis Spine Testing Machine”,118 (20), 2018, 815-819. A.Vinoth and Deepak Vijayan, “Study on the effect of titanium-based surface coatings on stainless steel 316L for hip prosthesis”, 2nd International Conference on Advances in Mechanical engineering, SRM Institute of Science and Technology, Chennai, March 2018. 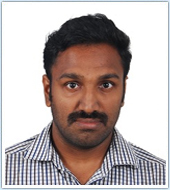 A.Vinoth, “Experimental & finite element analysis of connecting rod using aluminum LM6 & Flyash composite”, National level conference NCRT on DMMS’15, Bharath University, Chennai, April 2015. Shajan.S and A.Vinoth, “Bio-Mechanical Study of Intact and Implants Model of the Human Proximal Femur Using Finite Element Analysis”, National level conference, DR.MGR University, Chennai, April 2014. Arun prasath and A.Vinoth, “Finite Element Analysis of (C5-C6) for Human Cervical Spine”, National level conference, Saveetha University, Chennai, March 2013. With M.Bala Vinoth, "Design, Optimization & analysis of composite automotive Bumper Beam " under review at an International journal of recent and innovation trends in computing. Effect of multilayered nano coating on SS316 for a hip prosthesis. Effect of CO – CR alloy with multilayered nano coating on orthopedic implants. Lecturer in the Department of mechanical engineering at Sri Venkateswara Institute of Science and Technology, Tiruvallur, July 2008 - August 2009. 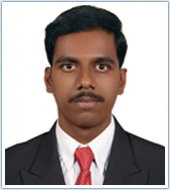 Assistant Professor in the Department of mechanical engineering at SRM Institute of Science and Technology (formerly known as SRM University), kattankulathur, Kancheepuram Dist, Since July 2011. Participated in a Faculty development program on “Tribology of Materials and Manufacturing” held during June 2018 in SRM Institute of Science and Technology. Participated in a short-term course on “Artificial Intelligence for Engineers” held during January 2018 in SRM Institute of Science and Technology. Organized and Participated in a Six days Faculty development program on “Mechanical Behavior of Structural Materials” held during May 2017 in SRM Institute of Science and Technology. Participated in a one-day Faculty development program on “Intellectual Property Rights and Innovation” held during January 2017 in SRM Institute of Science and Technology. Participated in a one-day Faculty development program on “Insights into Research” held during June 2017 in SRM Institute of Science and Technology. Participated in a one-day Faculty development program on “Exploring Patent Filing Aspects” held during December 2017 in SRM Institute of Science and Technology. Participated in a Faculty development program on “Development, Manufacturing, and Analysis of Advanced Composites” held during December 2016 in SRM Institute of Science and Technology. Participated in a short-term course on “Fatigue and Fracture” between January 20 to 31, 2014 held in SRM Institute of Science and Technology. Formulated a practical course for one credit course on “Fatigue & Fracture Mechanics” held during February 2015 in SRM Institute of Science and Technology (formerly known as SRM University). Active Member in International Association of Engineers (IAENG) professional bodies, 2013. Affiliation: Department of Electrical & Electronics Engineering, Kattankulathur Campus, SRM Institute of Science and Technology (formerly known as SRM University). B.Vinothkumar, P.Kanakaraj, C.Subramani,"Identification of Sensitive Line in IEEE Six Bus System by Using LMP Calculation", International Journal of Control Theory and Applications, Vol.No.9 (2016), Pg. 6815-6822. B.Vinothkumar,"Towards the Implementation of IoT for Environmental Condition Monitoring in Homes", International Journal of Control Theory and Applications, Volume No.10,pg.203,2017. B.Vinothkumar, Devesh Tripath, Sumit Das, Gaurav Singh" Grid-connected PV Wind Battery coupled bidirectional DC-DC LUO converter", Journal of Advanced Research in Dynamical & Control Systems, Vol. 10, 07-Special Issue, 2018. B.Vinothkumar, Mayank, Love kalsangrah, Kush kalsangrah,"Interleaved Boost Converter with High Efficient Switch Control for PV Systems", Journal of Advanced Research in Dynamical & Control Systems, Vol. 10, 07-Special Issue, 2018. Vinothkumar.B, Dominic Savio A, Balaji.C, P. Sivaperumal,Rishabh Mrinal, Adithya Ghosh, " Detection and Tracking of Human activity in the surveillance area” International Journal of Pure and Applied Mathematics, Volume 120 No. 6 2018, 7713-7725,2019. "Harmonic Compensation Using Current Source Active Power Filter" on the National level conference at Government College of Engineering held on April 02, 2009. “SRM-T-LIGHTS” on Research day, SRM University Feb 24, 2016. 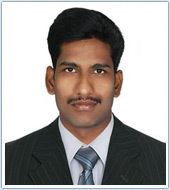 Assistant Professor, Roever Engineering College, Perambalur from 06/2009 to12/ 2010. 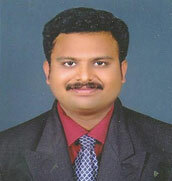 Part time Lecturer, Government Engineering College, Trinelveli from 06/2008 to 05/2010.